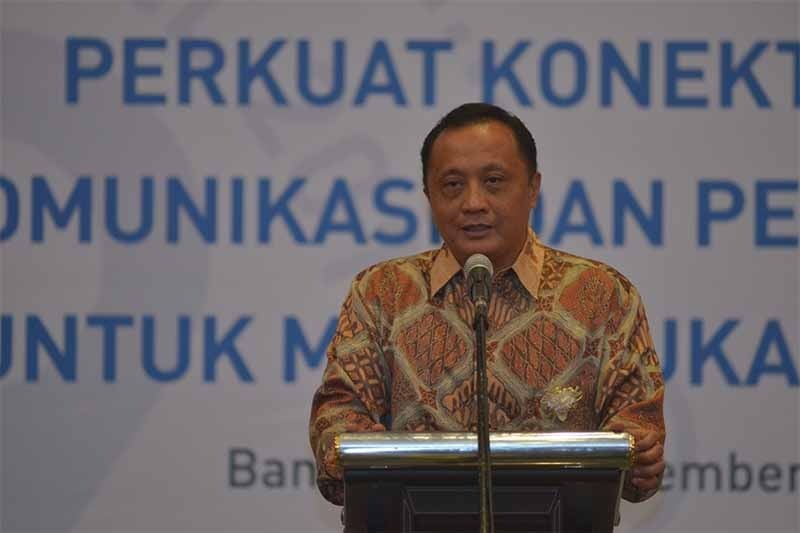 OpenGov recently caught up with Mr Kalamullah Ramli, Director General, Ministry of Communication and Information Technology of the Republic of Indonesia (KOMINFO), to discuss KOMINFO’s focus for the upcoming year, some of the projects that are in development, and future aspirations for the Ministry. Ministry of Communication and Information Technology of the Republic of Indonesia is the Indonesian Government Agency in charge on telecommunication, broadcasting, information technology and public communication and Information affairs. It works to provide a better future for all Indonesians and developing a world-class Indonesian communications and information technology sector. Currently, KOMINFO is driving many digital transformation initiatives across the nation with respect to increasing broadband access, improving digital services, and exploring new ways to improve Indonesia’s ICT abilities. We wanted to discuss this with Mr Kalamullah Ramli while we had the chance to meet with him recently. To develop greater utilization of ICT in rural areas, KOMINFO announced this year that it will launch a programme for Integrated Broadband Village Program (LOKPRI). This is following the order of the National Agency which calls for integrated broadband in remote areas. Rural villages will be equipped with internet access, end user devices, and mobile applications that are relevant to the lifestyle of the local people. Through this program, internet will be made readily available to fishing, farming, and other rural village communities. This program will help support local communities in their daily routines. KOMINFO estimates that the LOKPRI program will provide access to about 50 villages by the end of this year. This number is said to increase in the upcoming years, increasing the scope of rural connectivity. In improving digital capacity within Indonesia, KOMINFO is looking to improve the quality of the technological ecosystem. A greater tech ecosystem will help provide greater ICT access to citizens. With this, KOMINFO is looking to develop a unified communications network and application services within government. “We are working to connect all the government ministries and offices with a dedicated network,” said Mr Kalamullah Ramli. In order to create a unified communications network, KOMINFO must face the challenge of integrating this dedicated network throughout the complex geographical landscape of Indonesia. KOMINFO aims to overcome this challenge and increase the technological capacity of government organisations so that they can deliver greater services to its citizens. KOMINFO is also looking to expand on its application services to meet mobility demands. By providing citizens with virtual access to public sector services, applications improve the digital means of citizens and public servants alike. “Applications are very important to technology infrastructure development,” said Mr Kalamullah Ramli. KOMINFO is also looking in expanding applications within the areas of government, finance, health, education, and procurement. One way KOMINFO is doing this, is by welcoming application developers to get involved with the accelerated broadband programme. Developers are encouraged to create and submit applications which aim to improve the programs ability to support these rural communities. If these applications are approved by KOMINFO, the applications will be available for access by up to 50 million users via private mobile devices. In the near future, KOMINFO will be looking at increasing digital financial inclusion across the nation. Digital Financial Inclusion initiatives provide digital access to, and use of, formal financial services by excluded and underserved populations. With this, KOMINFO will have to face the challenge of bridging the gap between two giant sectors. The telecommunications industry is at the point of 90 percent penetration- thus, mobile banking would prove to have a great impact on citizens. Mr. Kalamullah Ramli is interested in making digital financial inclusion a reality in the near future, across Indonesia.